390mm Enduro / MX Gas Bottle Hydraulic Reg. 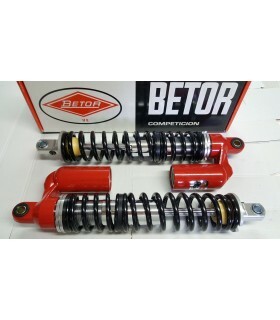 Betor brand motorcycle twin shocks absorbers for classic and modern monoshock motorcycles. Twin shocks, monoshock. 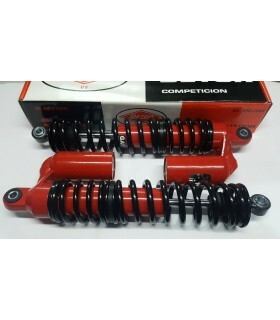 Buy Betor motorcycle twin shocks absorbers, it is synonymous with quality and guarantee of a great brand. International: Europe approximately 3/5 days. Hours 09: 00h to 20: 00h Monday to Sunday.